Fr. Kurtis Gunwall worked for 10+ years in youth and young adult ministry and began formation for the Permanent Diaconate before recognizing God’s call to the Priesthood. 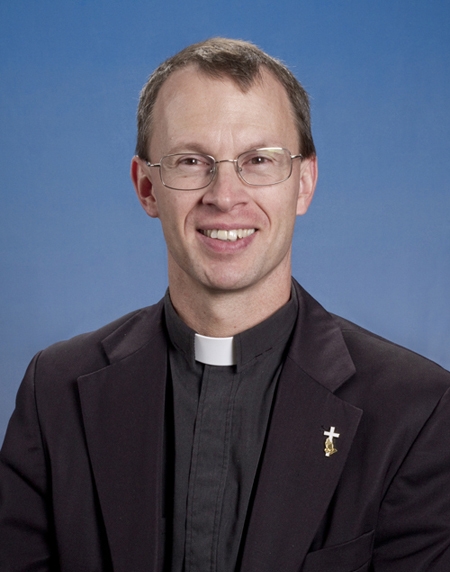 He was ordained in 2008 for the Diocese of Fargo. He served two years at Sts. Anne & Joachim Catholic Church as construction of the first permanent home took place. He then began to serve as the Vocations Director for the Diocese and continues to enjoy the travels around the diocese preaching on vocations in addition to working with the seminarians, assisting with men interested in the Permanent Diaconate, and visiting with young adults discerning God’s call.